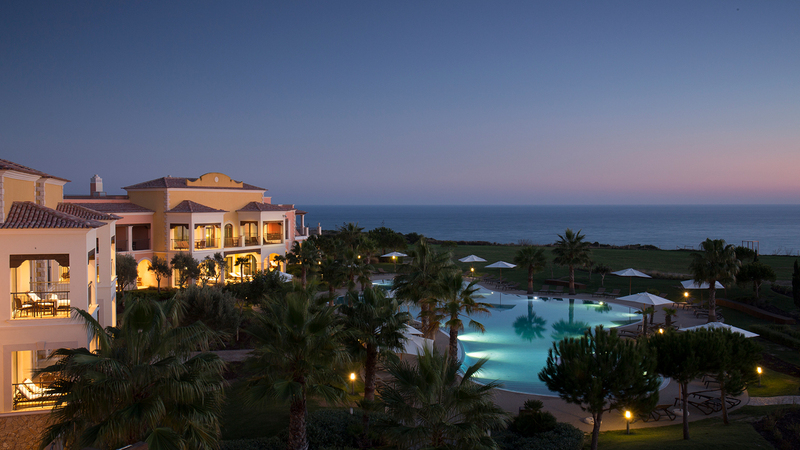 Epic Sana is a large hotel set in eight hectares of gardens and pine forest on the clifftop above Falésia beach, one of the most popular destinations in the Algarve. It’s light, airy and modern. 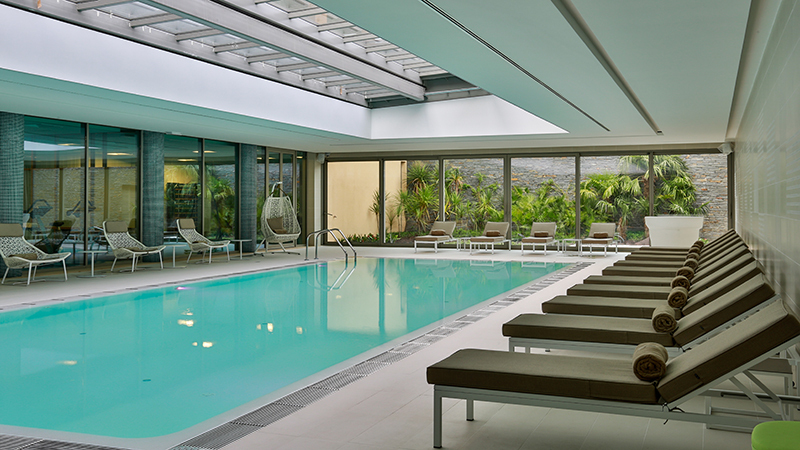 There are five outdoor pools and one heated indoor pool, three restaurants and three bars. Getting down the wooden walkways and many steps to the beach is a fitness workout in itself, but also means the beach is rarely crowded. The Sayanna Spa has nine treatment rooms, some with outside terraces. 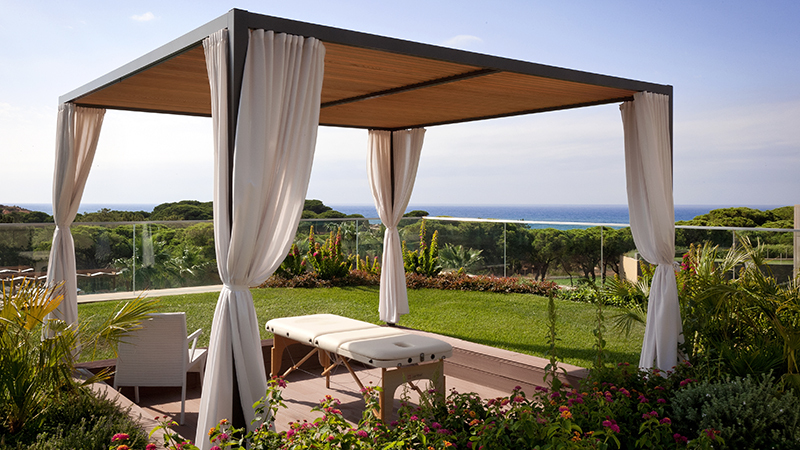 You can also book a couples treatment in an outdoor pavilion with a garden and private Jacuzzi. There is a steam room, sauna, a Turkish bath, indoor heated pool and relaxation pool. The spa uses mostly Aromatherapy Associates products. There’s also a fitness centre with a gym and weekly group lessons of yoga, Pilates and stretching classes. What makes this hotel stand out for spa lovers is the range of Wellness Retreats run by the Sayanna. Each themed stay includes diet, exercise, activities, and massages and treatments. The brave can book in for the Boot Camp which includes five hours of activities each day and a strictly controlled diet. Or perhaps try the Ultimate Reshape with only three hours of physical activity. If you want something gentler there is an anti-ageing week, a yoga week or a luxury de-stress week with the focus on meditation, massage and reflexology. The cleansing detox retreat is apparently very popular -- if you’re going to try a liquid only diet, why not do it in such a beautiful location. I had a facial and body treatment. 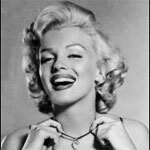 The facial used a Spanish range of products called MCCM. Renata, my therapist, exclaimed that my skin is ‘unbalanced’, very dry in places but oily in the middle. Her planned treatment would, she said, rebalance my skin. She cleansed my skin and then applied a peel which she left on for about five minutes -- it tingled a bit in places but was not uncomfortable. Renata explained that the areas which tingled were the most dehydrated. Next up was a lifting and plumping facial massage, and a finishing moisturiser. My body treatment used the Aromatherapy Associates Rose range which Renata chose because it is both hydrating and anti-ageing. It began with a body scrub which, when my skin was perfectly smooth, I washed off in the shower. Renata moved on to a relaxing massage with the rose body cream, working her way up from my toes to my back and neck. She then covered me in rose oil, and wrapped me up in sheets and towels. While the oil soaked into my skin, Renata massaged my scalp. The treatment was a slow, gentle experience that induced deep relaxation. My skin felt nourished and enriched -- perhaps even brighter and younger. Of the three restaurants, Al Quimia is the place to eat if you want fine dining. Awarded a ‘golden fork’ (one of 26 in Portugal) it takes Portuguese traditions and ingredients, and presents them with a modern twist. You may not want to eat dishes such as lobster in sea broth every day, but it’s an experience not to be missed. My partridge with red berries was delicate and fresh. Everything is served with panache and arranged on the plate like a piece of modern art. Opt for the flights of wine that accompany the meal and you can try some of the best wines and beers the region has to offer. We also joined a risotto making class with chef Luis Mourao. We made half a dozen risottos and the pick of the bunch was a flavour completely new to me; citrus risotto. It was light and delicate, perfect for serving with fish or shellfish. Leaving your heart on the ‘Love Tree’. Pick up a red or white wooden heart from reception, write your message and it will be added to the many hearts already swaying in the breeze out in the forest. The regular classes. You can join in with yoga, Pilates, cycling or a boot camp depending on the day of the week. The style conscious: The hotel is spacious, dramatic and adorned with sculptures. It uses bright colours juxtaposed with wooden and white floors and plenty of glass, so the sun streams in everywhere. Outdoor lovers: The gardens, forest walks, beach and five pools mean you can spend all day out enjoying the sunshine. Anyone who wants results: The themed weeks mean you can focus on losing weight, getting fit, reducing your stress levels, or just looking better.